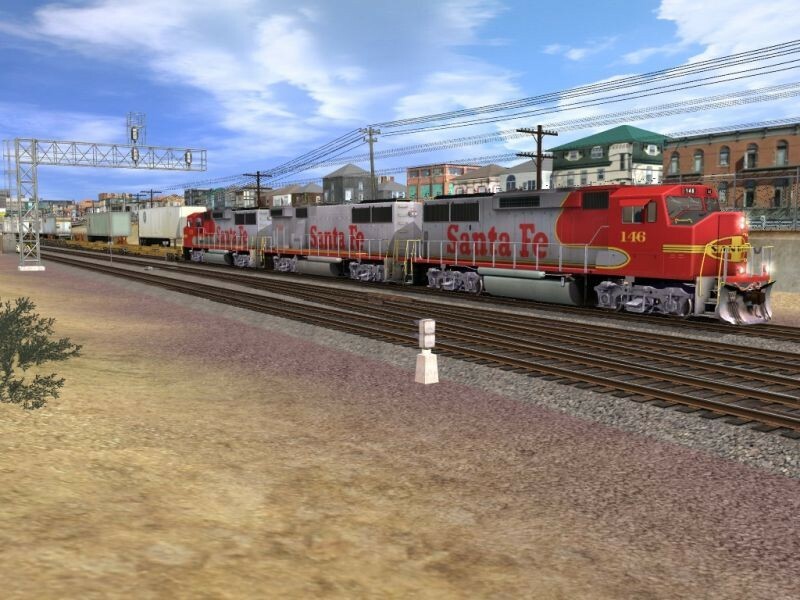 Santa Fe A-B-A leads a trailer train on the Quahog Subdivision. This route is freeware and is available at http://ccrx.us/ Please be warned that this route is not for low end computers. This is shot # 5 of 13 of the first full run I did on this route. Added to the photo archive by Randy Dyer, November 16, 2014.